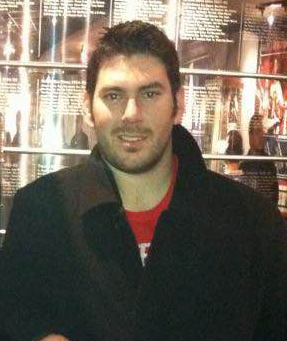 Marshall Mackinder joined the Hockey Now staff in November 2015 and brings a wealth of knowledge from a scouting standpoint in junior hockey, as well as 10 years in the sports marketing & advertising field. A native of the Detroit, Michigan now living in the Vancouver suburbs as a dual citizen, Mackinder attended Niagara University from 2001-05 and worked as the Purple Eagles’ NCAA Division I men’s team’s student equipment manager for four years which included a trip to the NCAA Regionals in 2003. Upon graduation, he took a sales position with the Ontario Hockey League’s Plymouth Whalers before moving to minor league baseball for several years in Rockford, Ill., serving as Assistant General Manger of Sales & Marketing for the Frontier League’s Rockford Riverhawks. He also worked in advertising sales for community newspapers in the Lower Mainland upon his arrival in Canada. In 2011, Mackinder, 32, was named a Western Hockey League and British Columbia Hockey League scout for Red Line Report, an independent scouting newsletter that focuses solely on NHL Draft-eligible prospects. Away from work, Mackinder has four children – Iain (9), Bryony (7) and newborn twins, Penelope and Amelia. This week’s prospects include Milos Roman (Vancouver Giants), Serron Noel (Oshawa Generals) & Anderson MacDonald (Moncton Wildcats). This week’s prospects include Jake Gricius (Portland Winterhawks), Kevin Bahl (Ottawa 67's) & Noah Dobson (Acadie-Bathurst Titan). This week’s prospects include Alexander Alexeyev (Red Deer Rebels), Hunter Holmes (Flint Firebirds) & Xavier Bouchard (Baie-Comeau Drakkar). This week’s prospects include Carson Focht (Tri-City Americans), Ty Dellandrea (Flint Firebirds)& Philipp Kurashev (Quebec Remparts). This week’s prospects include Calen Addison (Lethbridge Hurricanes), Barrett Hayton (Sault Ste. Marie Greyhounds) & Alexis Gravel (Halifax Mooseheads). This week’s prospects include Jett Woo (Moose Jaw Warriors), Ryan McLeod (Mississauga Steelheads) & Gabriel Fortier (Baie-Comeau Drakkar). This week’s prospects include Luka Burzan (Moose Jaw Warriors), Akil Thomas (Niagara IceDogs)& Jared McIsaac (Halifax Mooseheads). This week’s prospects include Riley Sutter (Everett Silvertips), Ryan Merkley (Guelph Storm) & Filip Zadina (Halifax Mooseheads). This week’s prospects include Ty Lewis (Brandon Wheat Kings), Maksim Sushko (Owen Sound Attack) & Ivan Kosorenkov (Victoriaville Tigres). This week’s prospects include Matthew Wedman (Seattle Thunderbirds), Marian Studenic (Hamilton Bulldogs) & David Noel (Val-D'Or Foreurs). We shine a spotlight on 2017 NHL Draft Prospects Dylan Coghlan (Tri-City Americans), Ryan McGregor (Sarnia Sting) & Cédric Paré (Saint John Sea Dogs). This week’s prospects include Dylan Ferguson (Kamloops Blazers), Macaulay Carson (Sudbury Wolves) & Leon Gawanke (Cape Breton Screaming Eagles). This week’s prospects include Jordy Bellerive (Lethbridge Hurricanes), Kirill Maksimov (Niagara IceDogs) & Denis Mikhnin (Rimouski Oceanic). This week’s prospects include Austin Pratt (Red Deer Rebels), Zachary Gallant (Peterborough Petes) & Ian Mitchell (Spruce Grove Saints).